Deputy Prime Minister, co-chairman of the Russian-Chinese intergovernmental commission on energy cooperation, Arkady Dvorkovich. The countries are looking to localize production of equipment for the energy and mining industries. Russia and China are discussing ways to increase cooperation in manufacturing, Russian Deputy Prime Minister Arkady Dvorkovich, who is also co-chairman of the Russian-Chinese intergovernmental commission on energy cooperation, was cited by TASS as saying. 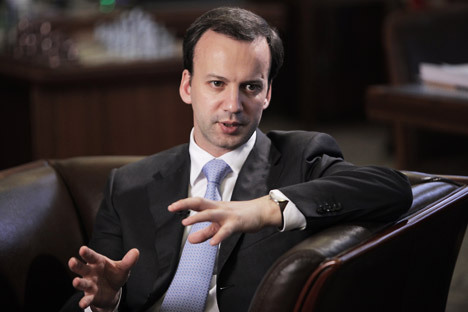 The countries are looking to localize production of equipment for the energy and mining industries, Dvorkovich said. “There are ideas related to harmonizing the standards on the production and supply of equipment wherever this is possible," Dvorkovich said, according to the report. The 12th meeting of the Russian-Chinese intergovernmental commission on energy cooperation began in Beijing on Nov. 16. It is co-chaired by Dvorkovich and Chinese Vice Premier Zhang Gaoli.